For many years I have thought about the impact that our interactions with each other have, even during the time when we are apart. For much of my professional career I have said “beware the shadow you cast” meaning that the way you treat someone when you are with them can have a positive or negative effect on the time when you are gone. Negative encounters and experiences stay with people long after you have left and sometimes by dwelling on them the feelings can be magnified. The opposite is however also true, positive meetings leave people feeling upbeat and that feeling can endure after the visit has ended. In home care this concept is of paramount importance. Many older people feel isolated and lonely, so the regular visits of their home carer bring relief and can give companionship and even friendship. At Visiting Angels, we have a minimum 1 hour visit. One of the reasons for this is to ensure that our caregivers have got the time to ensure that the visit is a positive one. A 15 minute or 30 minute at home care visit could be rushed and leave the person receiving care feeling unsettled or disorientated – this is then the feeling that stays with them until the next visit. Visiting Angels is different, apart from a 1-hour minimum stay, we also take the time to match our caregivers to our clients home care needs based on interests and experiences. 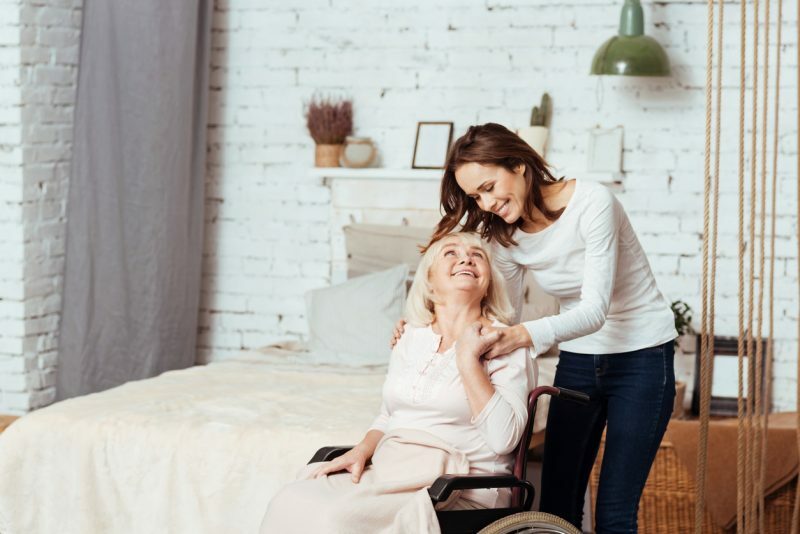 With the time to provide unrushed, person-centred care and common interests between the caregiver and client companionship, friendship and positivity are inevitable. When we leave the positivity created helps the client to feel more positive between our visits. If our clients are happy when we leave we know that they are happier when we are not with them. The cumulative effect of these positive shadows is a more fulfilling experience for everyone involved.